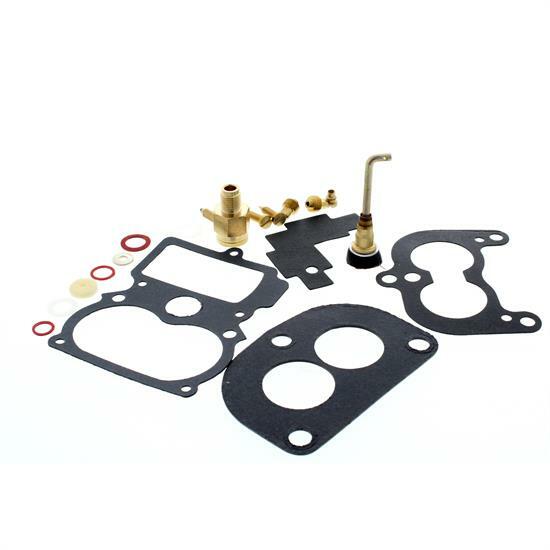 This Stromberg 97 master carb rebuild kit is intended for use on carburetors that need cleaning and require minor replacement of parts, but are otherwise in satisfactory mechanical condition. This Stromberg 97 rebuild kit includes a complete gasket set, needle & seat, air bleed screws, size 48 jets, and accelerator pump. Works on original Stromberg 97 carburetors.